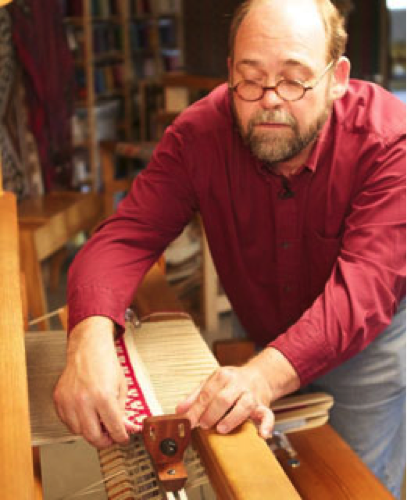 The Triangle Weavers Guild strives to always engage its members in educational opportunities. Members can participate in variety of classes and workshops where they focus on their craft in a creative learning and fun-filled environment. Participants learn new techniques, master new skills or just enjoy being inspired and sharing information with other experienced and talented artisan weavers or textile artists. Classes are taught by our talented guild members. These classes include beginning and specialty weaving classes, and classes in dyeing and other fiber arts, . Opportunities for individual instruction are listed on the Teachers page. Class Cancellation Policy: Class fees are forfeited for cancellations which occur less than thirty days prior to first class session unless the guild can fill the spot from a waitlist. Refunds are not given after the start of class. Workshop Cancellation Policy: Workshop fees are non-refundable unless the guild can fill the spot from a waitlist. Refunds are not given after the start of a workshop. In the event that the guild cancels either a class or workshop all fees are refunded. Look what's coming in 2019!!! Student should bring: Prepared warps, fabrics, and yarn that participants wish to dye (no felt please). Bring an apron and wear old clothes including shoes​. Directions for pre-session prep will be sent to participants ahead of time. Class will prepare fabric strips to be used as weft for rag weaving. Includes calculating fabric amounts, planning the design, and cutting and sewing fabric into strips. Materials to be provided by participants: Approximately 6 pounds of fabric. This will make enough weft for about a 2' x 3' rug or 4 placemats. Fabric of one type is best. Cotton and wool are good choices. An old sheet or curtain panel or similar yardage works well. 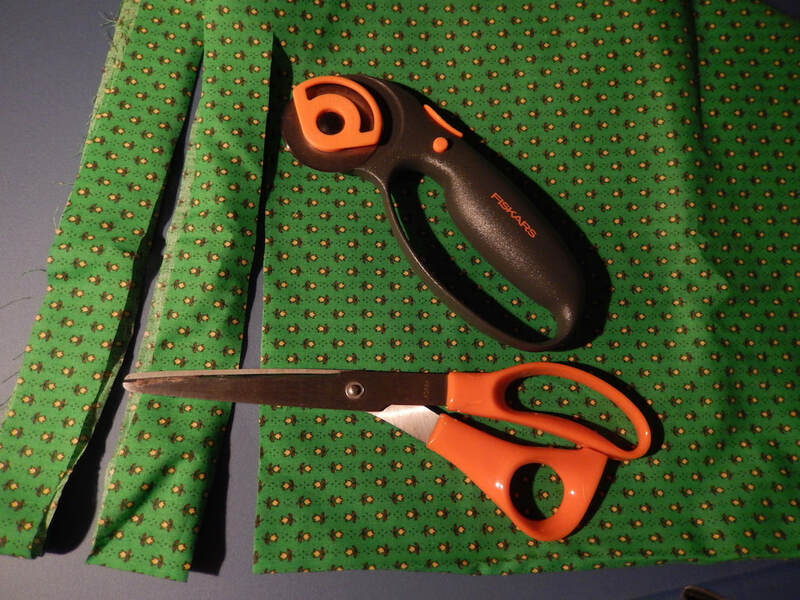 You can use scraps and even old clothes, but you'll want to be able to cut them into fairly long strips (at least 20 inches). 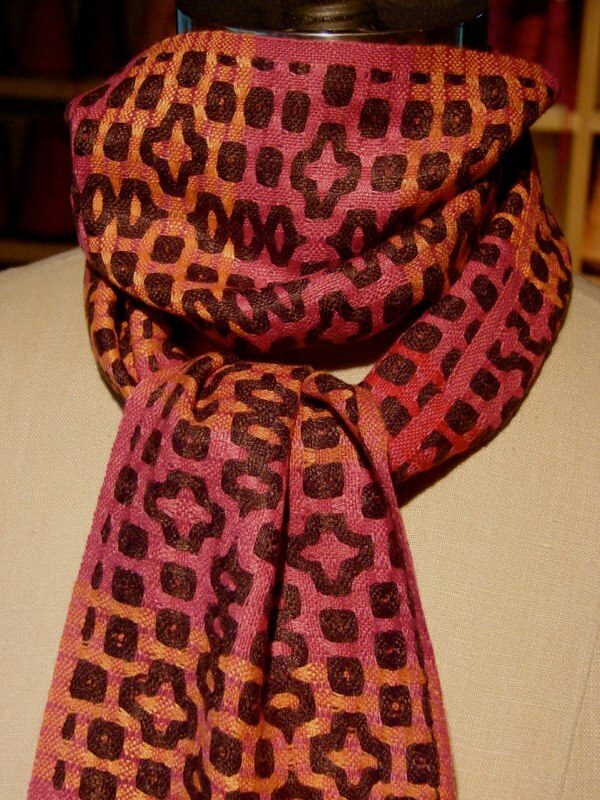 Multiple colors/prints will give you more design possibilities. Please bring fabric scissors or a rotary cutter, along with a rotary-cutting mat and long ruler (at least 24 inches) if you have them. A portable sewing machine is optional. The rigid heddle loom is a wonderful canvas for creating colorful patterns and hand-manipulated designs! This class will explore a progression of weft-faced designs throughout the day, including: hemstitching, beading, stacking, inlay, carry inlay, interlocking weft, windows, Shaker weave twists, floats, tufts, knots, and Brooks bouquet. Project ideas include a lovely sampler, wall hanging, table runner, strappy purse, or scarf. Student should bring: Scissors, tapestry needle and your warped rigid heddle loom with plenty of weft yarn for your project. 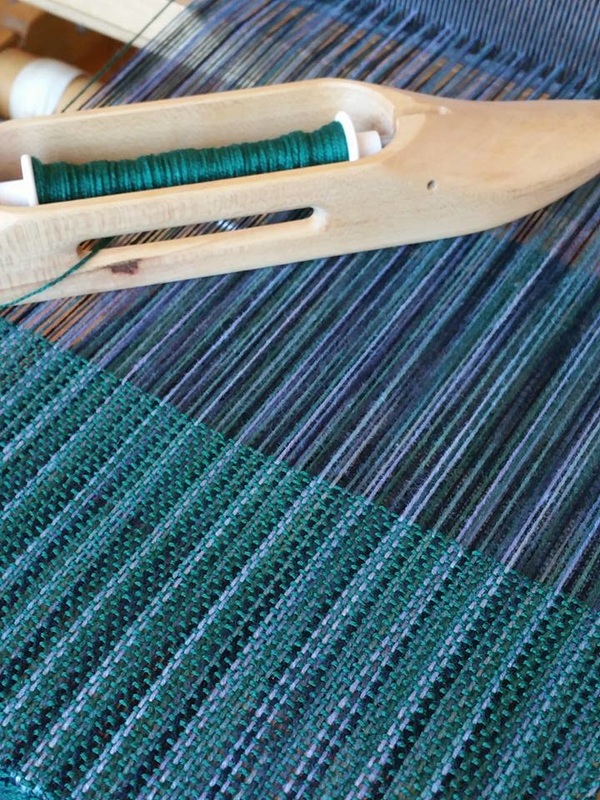 Warp suggestion – solid color to allow weft design to show. Cricket looms available for rent from instructor ($10 unwarped; $20 warped), by prior arrangement. A sharing basket will be set up for “treasures” if you would like to contribute bits of special yarns for pops of color along the way. 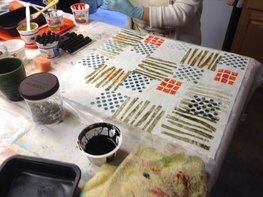 Introduction to a variety of traditional shibori techniques for creating resist patterns on fabric. Techniques include binding, wrapping, itajime (folding and clamping), arashi (pole-wrapping), and stitching. Participants will apply a variety of techniques and dye the fabrics in an indigo vat. Participant requirements: Participants may bring their own fabric and wearable items, made from plant fibers (cotton, linen, hemp, rayon), silk, or wool (finer weight, not bulky). Blends of these fibers that contain a small amount of polyester will also work. Participants may wish to bring their own rubber gloves. Wear old clothes and shoes that you don’t mind getting dye on. Bring lunch. 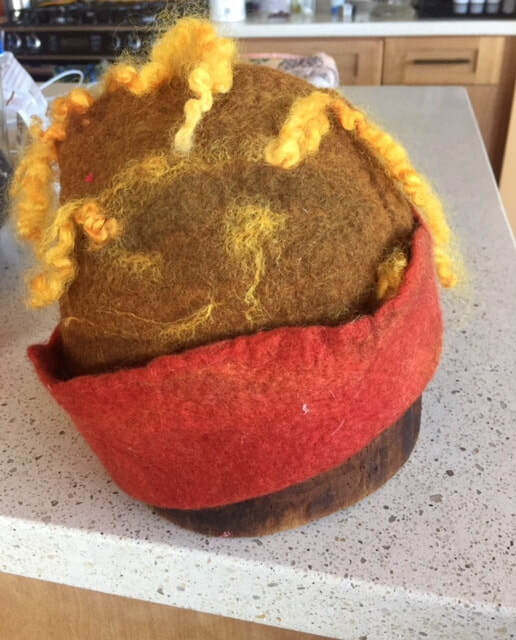 This class will felt with a resist to create a 3-dimensional object, such as a hat, bag, or seed pot. Thin shingles of wool fleece will be layered (for strength) and melded together through warm water and agitation. The final layer can be adorned with other yarns, sparkly thin materials, thin fabric, or curly locks of fleece. Class will use a plastic resist to create the interior space. Once the fleece is firmly felted, the resist is removed, and the two layers are opened into the desired shape. All will be revealed! The $5 materials fee covers wool and design materials. No experience needed. Participants should bring old towels and ideas, drawings, or pictures of felt creations that you want to produce. Instructor will bring a selection of adornment materials but bring any special materials you wish to include. 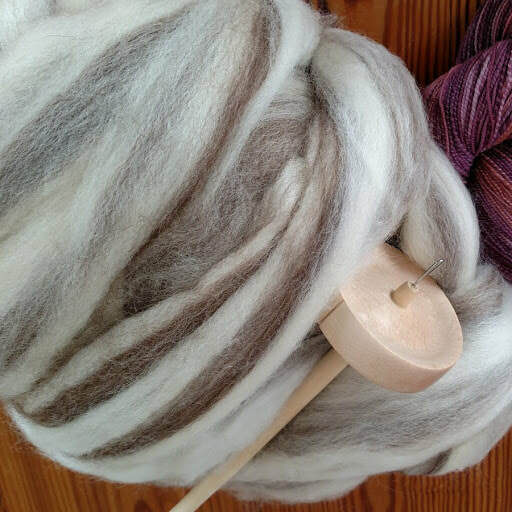 Learn to use a drop spindle to spin your own wool yarn for knitting, crochet, or weaving. This simple hand tool of prehistoric origin is inexpensive, portable, and easy to use. This introduction covers making singles and plied yarns, yarn handling skills, skein winding, and finishing the yarn for various uses. Participants should bring paper and pen for note taking. Enjoy the creative spontaneity of Saori-style weaving on your loom. 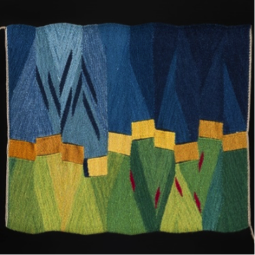 This class will provide an overview of Saori history throughout the last half century and provide a very simple approach to free-form weaving with color and texture. Techniques will include: looping, alternative selvages, interlocking weft, floats, inlay, knots, inserts, slits, and windows and characteristics of specific yarns. Project ideas include a lovely sampler, wall hanging, table runner, strappy purse, or scarf. Student should bring: Warped rigid heddle table loom or floor loom* with plenty of weft yarn for your project; scissors; tapestry needle. A sharing basket will be set up for bits and pieces of “treasures” if you would like to contribute interesting bits of special yarns for pops of color along the way. *Limited number of unwarped looms available at no charge from TW. Pre-warped Saori and Cricket looms available for rent from the instructor ($20 Cricket; $25 Saori), by prior arrangement. With the intention of functioning as an “on ramp” to the craft of weaving, this introductory course offers new students the opportunity to begin their study. 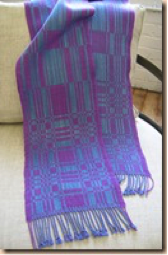 Through weaving a rayon scarf, this course offers an introduction to a 4-shaft loom. Students will learn vital weaving skills, including reading a draft, planning projects, preparing the loom, and weaving. Student should bring: Notebook/sketchbook; pencils, pen, highlighter. The class will meet at TFAC for 8 months from August 29 through November 7. The concentration will be on weaving with color, making decisions about color choices and experimenting with color. There will be reading, extensive color study homework and 3 weaving assignments. Participant Requirements: Must be able to set up a loom and weave independently. 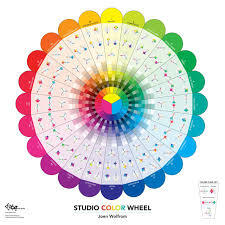 Required Materials: "Color Play", Second Edition by Joen Wolfrom (make sure it is the second edition), and a "3 –in-1 Color Tool" (the third edition) by Joen Wolfrom. Make a Covered Journal Using Your Handwoven Fabric! 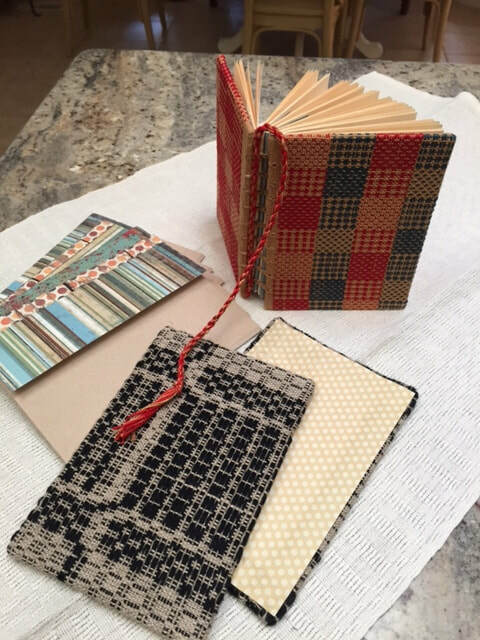 Students will create a hard-covered journal using their own handwoven fabric for the front and back covers. They will cut and fold signatures for the interior sections and bind them using a traditional Coptic stitch. Instructor will provide decorative papers, signature papers, waxed linen threads, curved upholstery needles, mod podge glue, book board for covers, weights for flattening the covers, and handouts. She will also will bring a pre-warped Swedish Band Loom that students can use to create a bookmark for their journal, if time permits. ​Beiderwand is a compound weave with origin in 1800s in northern Germany/Denmark. A kind of double weave, it is woven with two alternating wefts, one slightly thicker than the other. 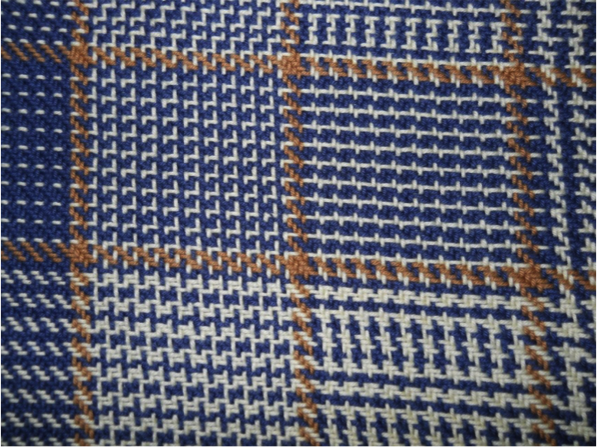 The “main” warp forms pattern areas, and the “secondary” warp forms the ground (background) and ties pattern wefts in a plain weave pattern. 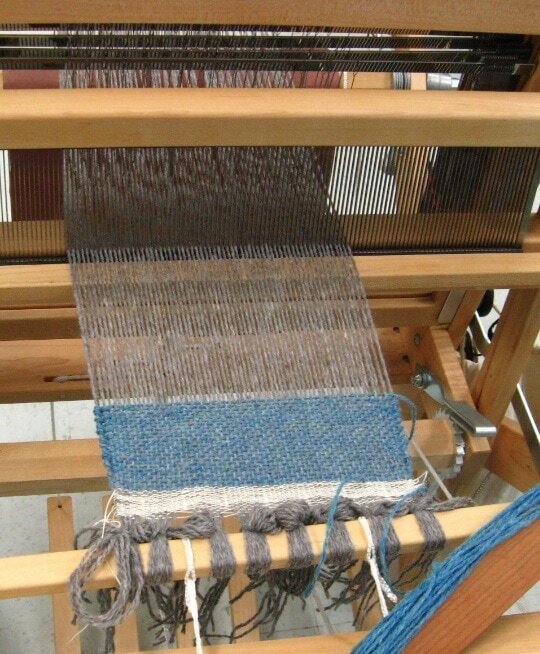 Turning a beiderwand draft creates clean pattern blocks, better drape and faster, one-shuttle weaving than its traditional supplementary weft method. 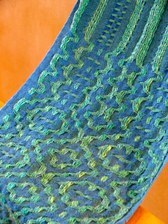 The resulting threading also adapts easily to weave other structures. You will warp with a supplementary warp and weave samples, learning how to turn a draft and make do without a second warp beam. Prerequisites: Participants should be proficient with weaving basic structures. Materials to be provided by participants: Pre-warped 6 or 8 shaft-loom (8 shafts preferred), yarn and other common weaving tools specified by instructor (sent to participants after registration). Yarns will be different weights of Tencel and cotton. Note: A limited number of 8-harness table and floor looms will be available on loan by the guild. Look what is coming in 2019! In contrast to most weaves which are woven in a plane horizontal to the loom, wedge weave is woven on the diagonal. This results in a weft-faced weaving with many distinctive characteristics and exciting design potential. Participants should expect to gain a full understanding of the technique and a beginning understanding of the design potential of the technique. 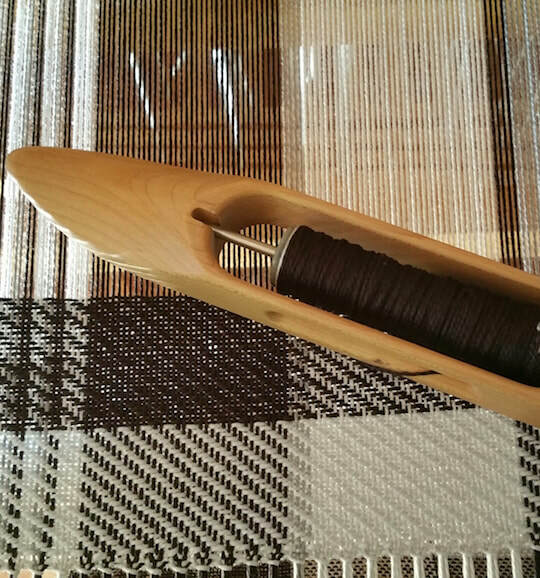 Some weft-faced weaving experience is helpful, but not essential. Floor, tapestry, or table loom. Beginning and advanced weavers alike will be amazed at the variations of pattern possible with just 2 harnesses and a few simple techniques. Working on their own looms, participants will weave samples of weaving unique to early French Canada and Louisiana: couverture de mariage, a la planche, boutonne, cordonne. Suitable for rigid heddle, though some features may be limited. 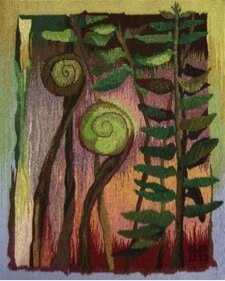 This workshop will concentrate on teaching you how to weave slow color gradations using color groupings. This approach is effective not only in tapestries but also in rugs, table linens, and garments. It is possible to achieve wonderfully rich colors by combining numerous thin yarns of varying shades. By choosing different fibers such as rayon, wool, cotton, silk, and metallic yarn, you also can add subtle textural interest to your work. Further textural effects will be explored by working with dyed silk and cotton fabric strips. 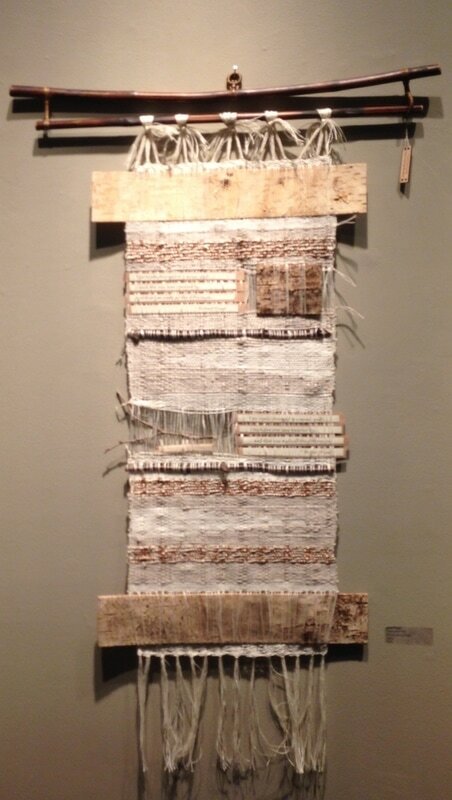 Stretch your creativity with this workshop by master weaver Elisabeth Hill. Deflected doubleweave is a weave structure that allows the warp and weft to shift and move, creating surprising curves and textures when the piece is off loom and wet-finished. It’s like defying the grid! After an explanation of the structure, students will experiment with lots of variations on a single threading, producing a sampler. Then students will choose a tie-up/treadling/colorway to weave a scarf. 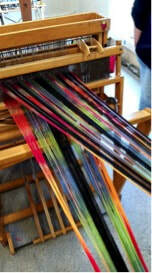 Prior to the workshop, participants will need to warp an 8-shaft loom with an individual warp (provided by instructor). Participants will work on their own looms. This is not a round robin workshop. Elisabeth says "​I am a hand-weaver, teacher and mother of three children, two dogs, and three ( . . . there may be a few more) looms. 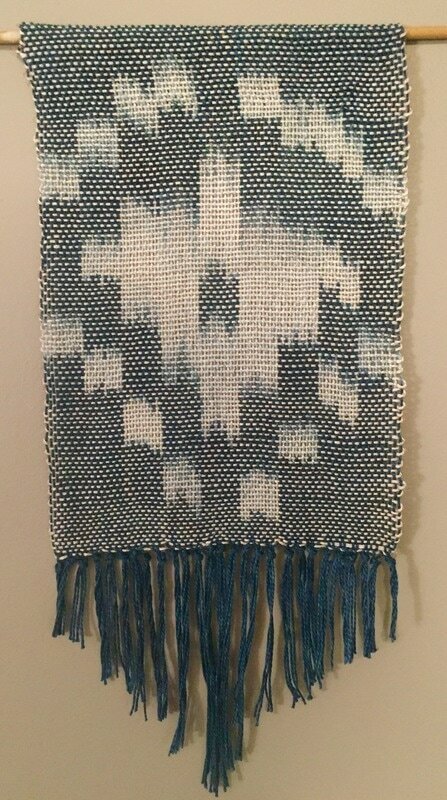 I have been weaving since 1995, and I have received my Master Weaver certification from Hill Institute in Florence, MA. I am a technical editor for and frequent contributor to Handwoven Magazine." 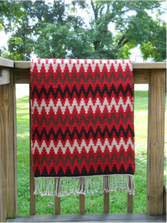 Check out her website at www.plainweave.net. This workshop requires an 8 harness loom. A very limited number of 8 harness floor looms (see note below) and table looms are available on a first come, first served basis for guild members to borrow for use in the workshop. The looms will have to be warped at TFAC prior to class and remain on premises at TFAC. If you need to borrow a loom, please indicate that on your registration form. In this class, participants will have the opportunity to design and create an ikat resisted warp that is dyed in indigo. 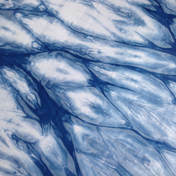 Ikat is a resist-dyeing technique that is used to pattern yarn prior to weaving. The yarns are wound on warping pegs in multiple bundles and resisted with a waterproof material in a predetermined pattern. The bundles are dyed and the resist is removed, revealing the negative, or un-dyed areas. 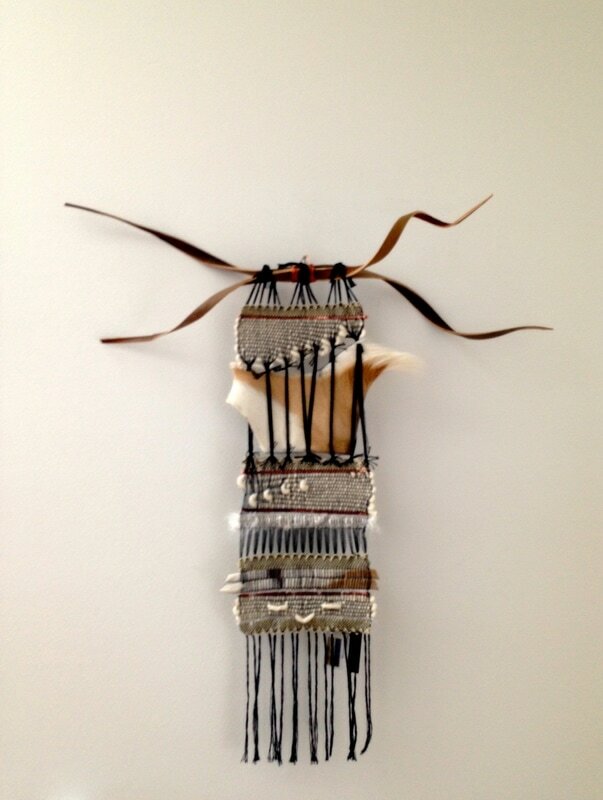 Participants will use cotton yarn to create a 9” x 12” wall-hanging. The design of the resists will be planned by the participant using graph paper. Planning, measuring and dying the warps will occur in class, and then the participants will take the warps home to weave the warps on their own looms. Participants can use any type of loom that is at least 9 inches wide- including rigid heddle and weave with any weft and weave structure once they get home. Participants will need to know the basics of warping and dressing a loom and be confident with weaving at home without supervision. They will also need to bring a cone of yarn (details to be sent after you sign up for class), scissors, and gloves/apron for dying (and wear old clothes). This class is now closed! This 4-hour class will go over the basics of learning to weave on the rigid heddle loom. 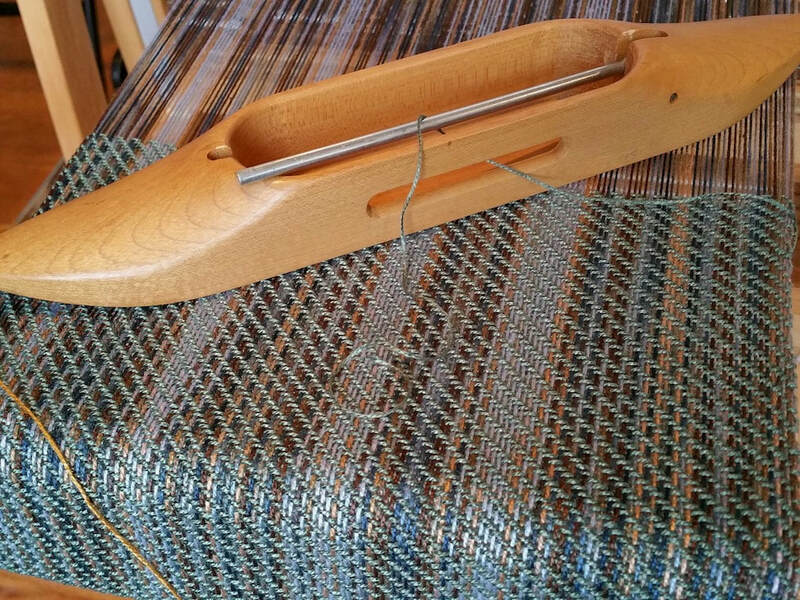 You will learn weaving terms, how to calculate a warp and plan a project, how to warp the rigid heddle loom using the direct warping method, the proper way to wind a stick shuttle and basic finishing for a dish cloth. Student should bring: Rigid Heddle loom with a 7/5 or 8 dent reed, reed hook, warping peg if available, paper and pen for notes. 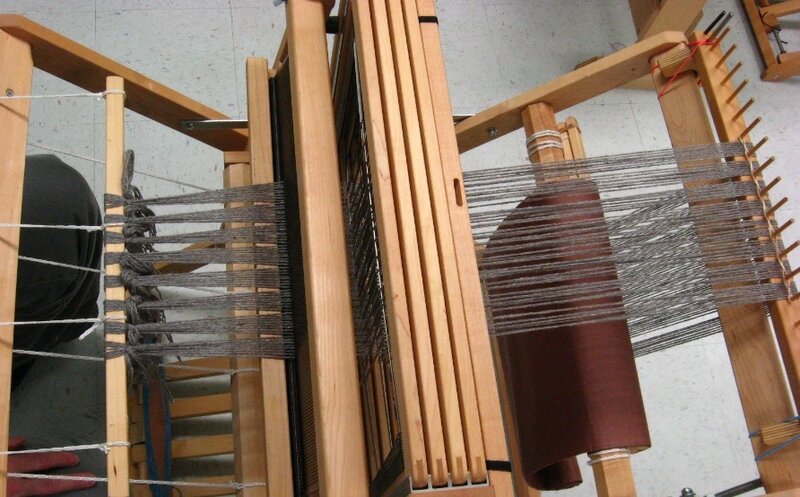 ​In this class you will put on three warps and complete three projects over six sessions, becoming proficient in warping a loom from back to front while learning the basics of weaving. A small embellished felted bag or electronics pouch. 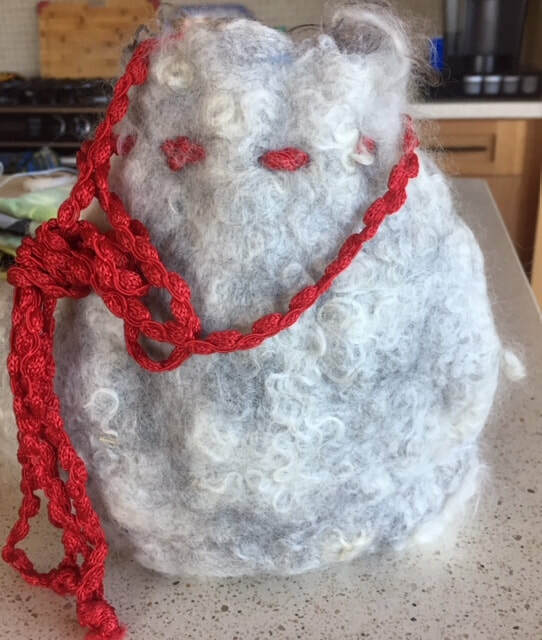 Very quick and easy, using bulky wool yarn with a very open sett and beat. Felted finishing technique and discussion of fiber qualities. 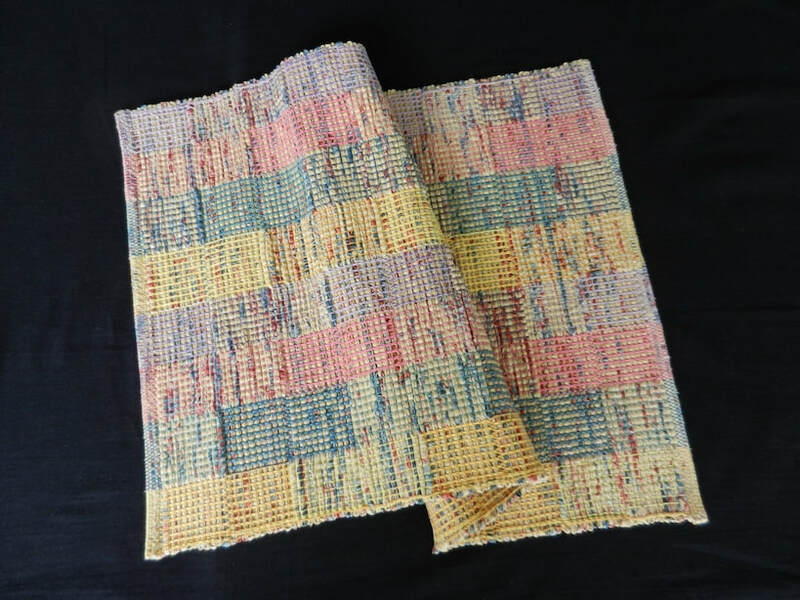 Small cotton hand towel using multicolor warp and weft. Participants will create their own color plan and twill/plain weave sequences and finish using a folded hem or hemstitching. Note: Although the sessions are planned to give time for completing the projects, students may need to come into TFAC drop-in sessions (Tuesday and Saturday afternoons) to weave between classes. When we begin to weave, predicting a project's outcome using color is often difficult. Woven fibers do not always correctly “mix” together, resulting in somewhat “off” results. 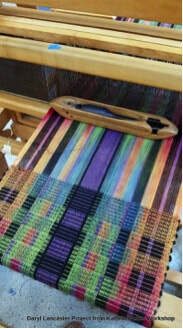 This workshop is designed for you to explore color through weaving a gamp in plain weave with 6 warp and 30 weft colors. Prerequisites for the class: Students need basic understanding of weaving terms and should be able to dress their loom with minimal assistance (this is not a beginning how-to class). Pre-wound warps will be provided by the instructor, and students will dress their looms during class. The class will meet at TFAC for 8 months from September through February on pre-determined Wednesdays 1-3 pm. The concentration will be on weaving with color, making decisions about color choices and experimenting with color. There will be reading, extensive color study homework and 3 weaving assignments. Participant Requirements: Must be able to set up a loom and weave independently and must have or purchase the following Required Materials: Color Play, Second Edition by Joen Wolfrom (make sure it is the second edition), and a 3 –in-1 Color Tool (the third edition) by Joen Wolfrom. Both available for purchase online. ​This class is now closed. and weft materials to be provided by the participant. Let simplicity and spontaneity guide you in the creative process! Any loom welcome (floor, rigid heddle, table). Please bring your loom pre-warped. TFAC looms available for you to warp at no charge. All Saori looms are spoken for but there is still a small piccolo loom left to rent from the instructor ($20.00). Participants also should bring: scissors & a tapestry needle, and their own weft materials which can include: foraged natural grasses, fronds, leaves, feathers, sticks/small branches, bark, paper, vines, beads, print (cards, photos, quotes), yarns and fibers, etc. 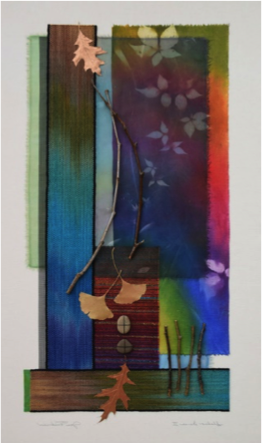 Materials for purchase will include: dyed reed, birch bark and sticks, feathers, driftwood, leather, copper, horsehair, beads, mohair locks, fronds, branches, vines, print inspirations, paper, etc. Japanese hangers may be purchased during class as well. Come enjoy a joyful and happy day! ​Equipment: Pre-warped tapestry loom required. Tapestry is simply weft-faced plain weave. What’s so hard about that? A lot! The focus for this class will be a review of basics: what’s a good warp and warp sett; what kinds of wefts will work; how to successfully set up a warp for tapestry on a frame loom; how meet and separate technique works; how a few joining techniques work; and designing for cartoons. You will set up a loom to have both small sample and wider areas in which to develop and refine a design idea, and to begin weaving a tapestry based upon the design. Course is for advanced beginners to intermediate tapestry weavers. On the first day, participants should bring a warped tapestry loom* with at least 6” width and 8 – 10” high. Sett may be either 6 epi or 8 epi. Fiber for warp – cotton seine twine. For a sett of 6 epi, warp size should be 12/18. For a sett of 8 epi, warp size should be 12/12. Participants should also bring scissors, ruler with metric side; small tapestry needles; notepaper and pencil; yarn for weft (optional); sketchbook and colored pencils (optional). *Note: If you do not have a tapestry loom, the guild has a limited number of simple frame looms available for you to borrow for the class. Learn to make custom dyed warps for scarves, linens or yardage. In this class we will learn to use Fiber Reactive dyes for cellulose fibers including cotton, linen, bamboo and silk. Techniques for preparing your warp for the best results will be provided. A technique for color mixing will be covered before dyeing your prepared warp. This class is perfect for those new to dyeing. Please note: This is 2 separate 4 hour classes - one on Saturday, one on Sunday. You can register for one or the other or both. 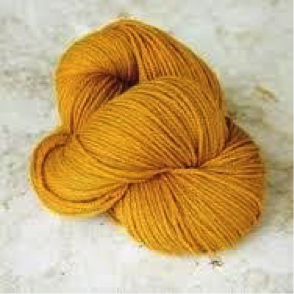 ​Participant Requirements: No dye experience is necessary, but you must be able to prepare a warp prior to class. Bring one to two prepared and scoured warps, up to 2 yards long. Instructions for preparing the warp will be provided before class. These classes are now closed! 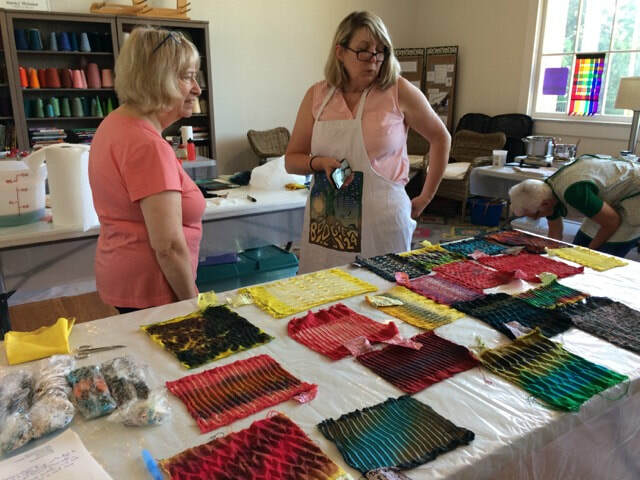 The Open Studio allows you to come in and dye almost anything, including warp or weft painting, woven shibori, traditional shibori, any kind of yarn or fabric. This is not a formal class, but an opportunity to get the guidance you need for individual projects. Fiber Reactive dyes and Vat dyes for cellulose fiber and silk will be provided. ​Participant Requirements: You must have taken a previous dye class. Bring any prepared warps, fabrics, etc. that participants wish to dye. Instructions for scouring/preparing fibers will be provided before the the session. By defining and thinking about what we are looking for in our project, we begin to consider just what it is that will please us when we take the piece off the loom and finish it. As a weaver begins to explore weave structures and materials, a valuable tool is learning to sample and keep records for future weavings and reference. 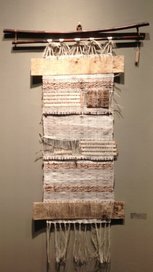 In this two-day workshop, participants will come with looms warped and a section woven in the fiber and structure of their choice. We will discuss what individuals are looking for in their projects, taking and keeping accurate records, and each participant will weave several samples. We will finish samples, and at the end of the second day, we will discuss and share our findings. Students will provide the following: Pre-warped 4-shaft loom with 8, 10, or 12-dent reed, shuttles and bobbins; notebook/sketchbook; pencils, pen, highlighter; scissors, and reed hook. An open mind to learning new ideas and doing things differently; ear plugs if needed to weave without noise distractions. Note: If you are unable to bring your own loom but wish to enroll in the class, please indicate that on the registration form, and we will contact you about providing a loom for the class. 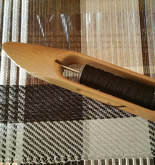 Students need to come with their loom warped and have woven a square sample (left on loom). Pre-class instructions to be sent from instructor upon registration. With the intention of functioning as an “on ramp” to the craft of weaving, this introductory course offers new students of the craft the opportunity to begin their study. 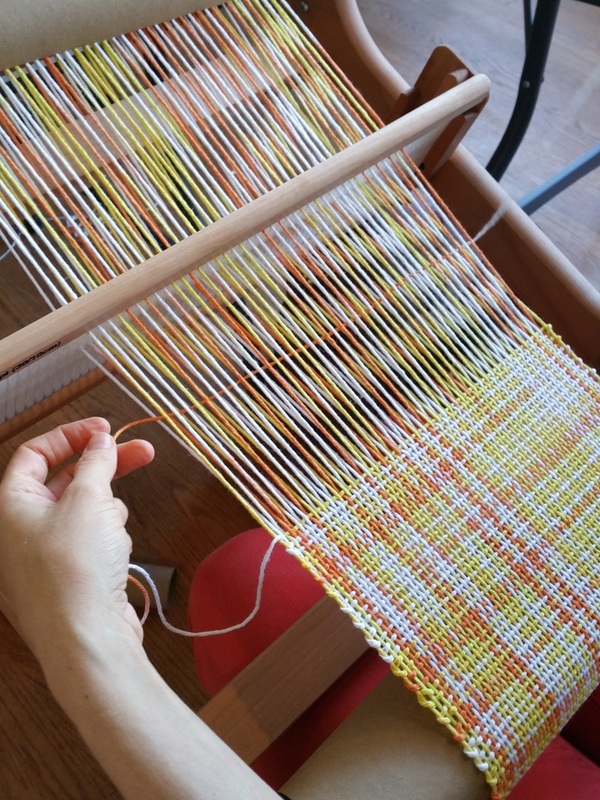 Through weaving a rayon scarf, this course offers an introduction to a four-shaft loom. Students will learn vital weaving skills, including reading a draft, planning projects, preparing the loom, and weaving. Student should bring: Notebook/sketchbook; pencils, pen, highlighter; Bring an open mind to learning new ideas and doing things differently. If you need to weave without noise distractions, bring ear plugs. 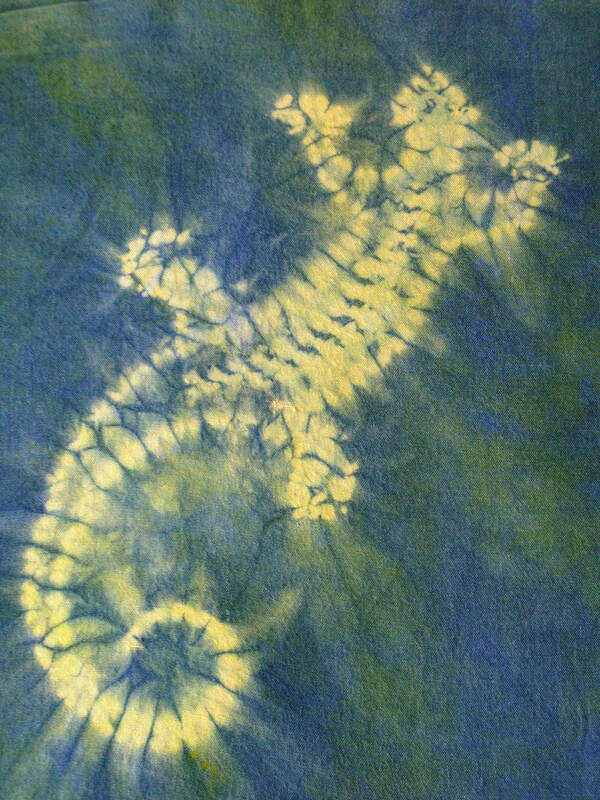 Thickened dyes add color, detail and texture when they are used to print designs on fabric. 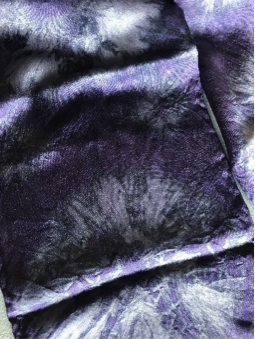 In this class, simple materials will be used to stamp, paint and print on fabric to create unique scarves, table linens, pillows or cloth for garments. 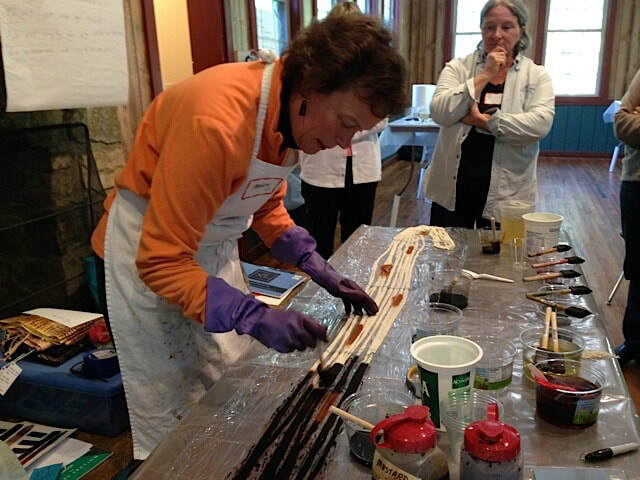 The workshop covers thickened dye basics including demos, recipes, dye safety, design, inspiration and color layering. Participants will create samples, finished cotton napkins and a silk scarf. 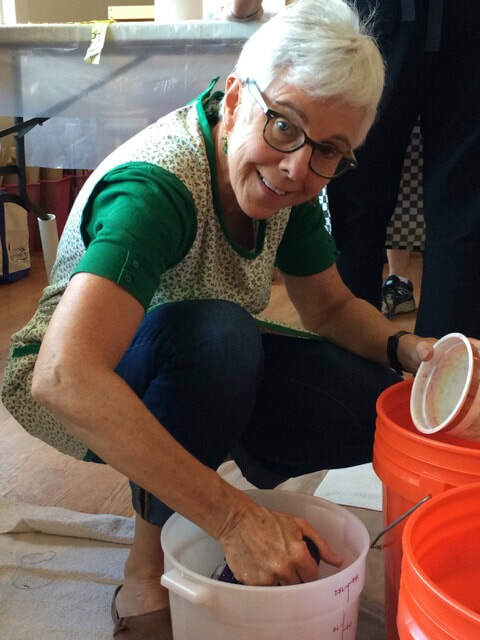 In addition, participants will learn how to make printing paste with dye activator and how to best use stencils, stamps and screens with cloth. 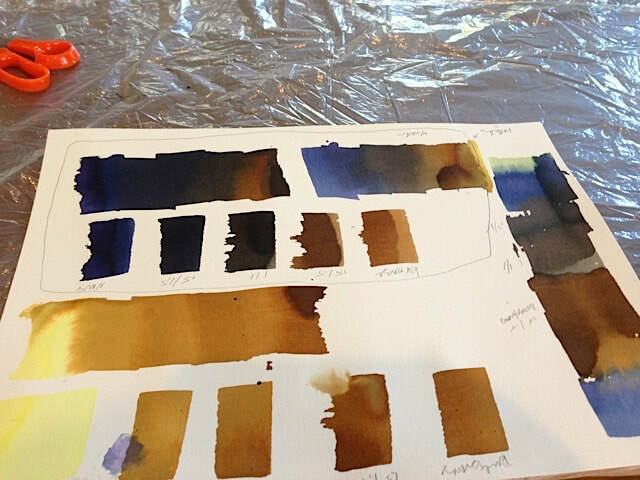 Handouts include “recipes” for dyes, paint paste, batching and setting the dyed fabric and sources for all materials. Participants will receive 2 pre soda soaked cotton napkins, 1 pre citric acid soaked silk scarf and a Dye Matrix for color layering. Materials the participant should bring: full front apron and rubber gloves. Wear old clothes and shoes that can be “dyed” from accidents. For your interest and sharing, bring old, clean items that could be used for printing such as a trivet, potato masher, etc. that may be ready for the garbage! 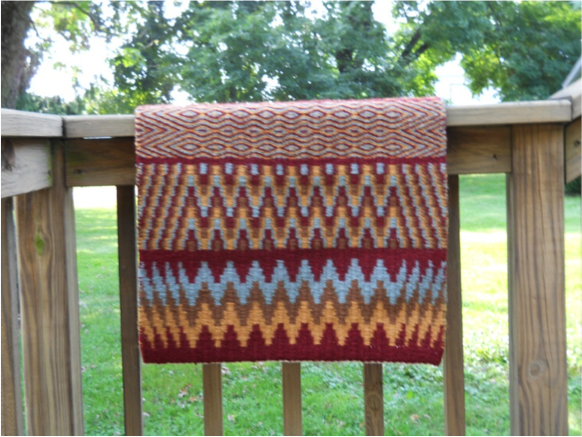 This class is perfect for the student with little or no prior weaving experience. We will be weaving a set of small cotton mats that can be used as mug mats or saved as samples in a notebook for future reference. You will learn to plan your project, decipher a threading draft, measure and wind a warp, dress the loom from back to front, and weave a set of from 4 to 6 mats - each with a different treadling pattern of your choosing. 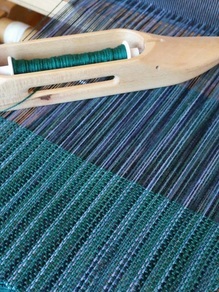 For the student who completes the first project quickly and is able to spend some independent time weaving during the TFAC drop in hours on Tuesday and Saturday afternoons, there may be an opportunity to put on a second warp with a different threading for a wall hanging sampler or more mats. This would be a great way to reinforce what you learned during the first half of the class. Participants should bring: pencil and paper and their favorite shuttle if they have one (not required). Please bring a lunch for the first meeting date (Saturday, January 6th). ​This class is now closed! With the intention of functioning as an “on ramp” to the craft of weaving, this introductory course offers new students the opportunity to begin their study. 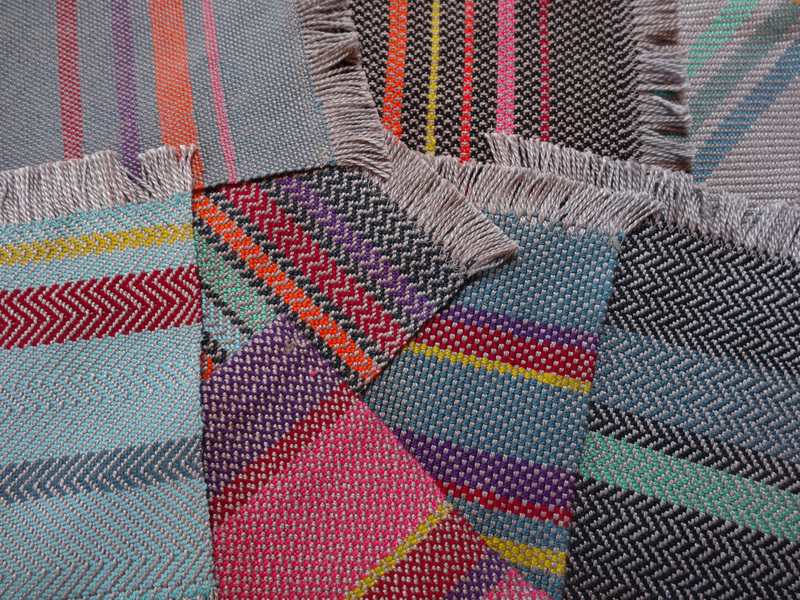 Through weaving a rayon scarf, this course offers an introduction to a four-shaft loom. Students will learn vital weaving skills, including reading a draft, planning projects, preparing the loom, and weaving. This workshop teaches techniques that allow the weaver to be more playful and spontaneous in planning and weaving fabric while producing good, functional cloth. 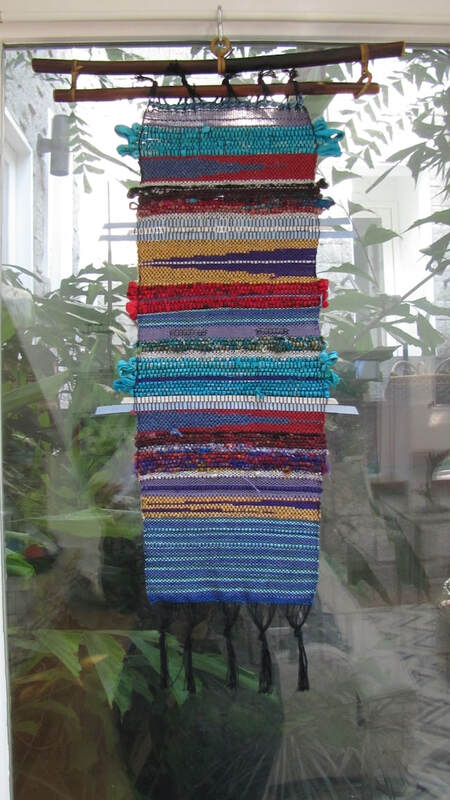 Beginning with multiple warps, hand-painted by Kathrin, participants will learn to flip and shift warp sections, and to work with warp chains of different weight, texture or fiber within a single project. 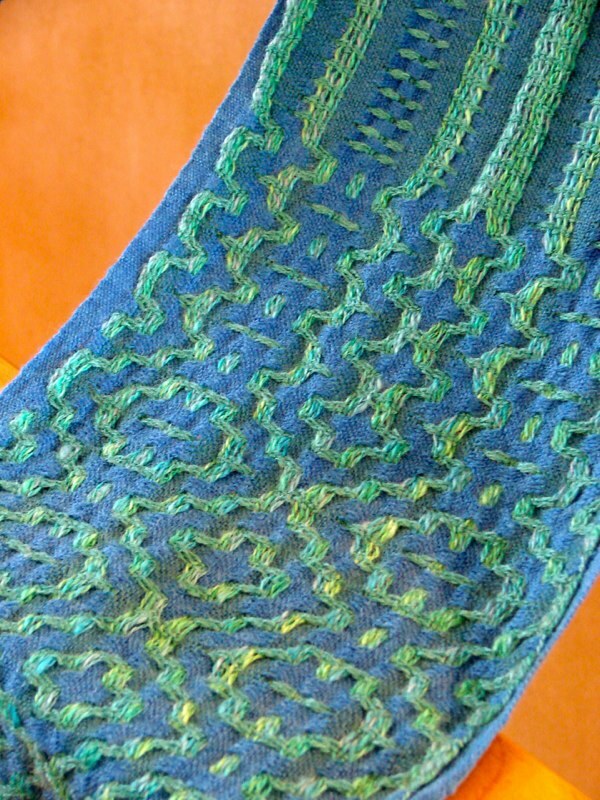 Knowing how to do this with visual and technical proficiency not only adds the potential for added complexity in the finished woven piece, but it also allows you to use the materials you have in your yarn closet more fearlessly in future woven projects. 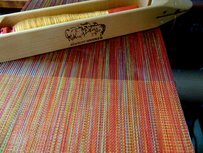 Participants will work with color and weave effect in several plain weave configurations, then weave twills, repp and turned taquete on the same warp. No two warps or designs will be alike, so class members learn from one another. Weavers with more experience will be able to take their designs to more complex levels. This workshop is now closed! Want to weave a Ruana (a poncho-style wrap)? 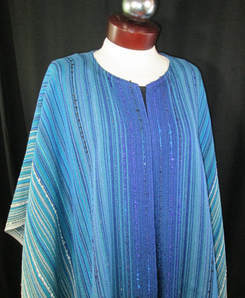 The instructor will demonstrate how to plan and assemble woven pieces into a Ruana. She will show how to sew a nice, sturdy seam; add stabilizer to the neck hole; and make a finished Damascus edging and a twisted fringe. Participants should bring pencil or pen for taking notes; a battery-powered fringe twister if they already own one; and a lunch snack. The class will cover different kinds of fiber and the different ways of preparing and spinning them. The focus will be on “woolen” and “worsted” drafting and many of their variations. A variety of spindle styles will be available for testing. Beginner spindles will be available to use in class if participants don’t have their own. 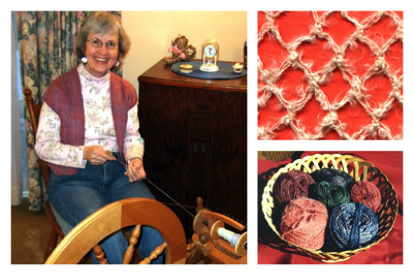 Experience required: This class is for spinners who can already spin a continuous yarn on a spindle of some type. Participants should bring paper and pen for note taking. They should also bring their spindle (if they have one) and examples of yarn they have spun. 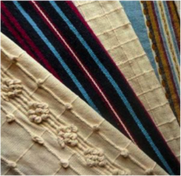 ​Weft-Faced Twill (also called Boundweave and Saddle Blanket weave) uses widely sett warps to allow weft fiber to slide down and cover the warp, creating a firm and thick textile perfect for wall hangings, table linens, and rugs. You will learn different ways to treadle this weave, starting with two colors, then four; then you will move on to design your own patterns. Using the same warp, you will have options to explore design both of the Southwest and Scandinavia. Participants must be able to warp their own loom and must provide a pre-warped 4- shaft loom. (instructions will be sent to those registered). The guild has limited number of looms which will be assigned on a first-come basis. Most participants will need to supply their own loom. As of 2/7/18, all of the guild floor looms have been spoken for. This workshop is now closed. 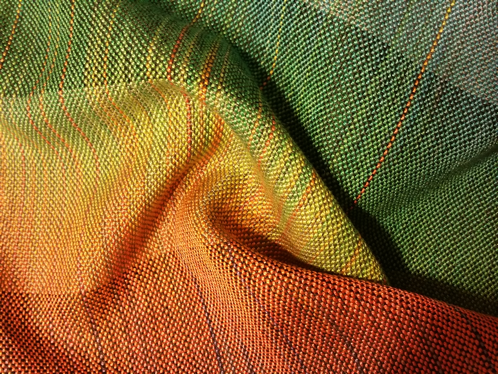 You’ll experience the thrill of seeing how two or three contrasting colors, when carefully arranged in the warp and then woven in the weft direction, can create magnificent looking fabric on the simplest of threadings. On a 15” width warp, you will thread 5 different patterns in a sampler format, then during the workshop you will weave several different patterns in both plain weave and twill. You will be amazed at how simple contrasting color arrangements can affect a rather simple fabric. [Note – this will not be a color theory workshop. Participants must be able to warp their own loom and must provide a loom warped to specifications provided to registrants. The guild has limited number of looms which will be assigned on a first-come basis. Most participants will need to supply their own loom. As of 2/13/18, all of the guild floor looms have been spoken for.